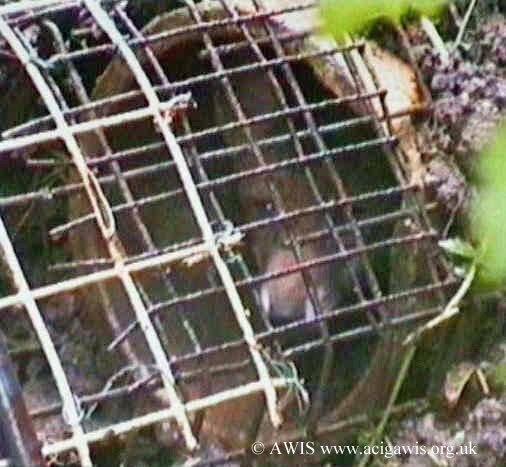 These are homes for foxes that were built by hunt supporters to ensure that they had foxes to chase and kill for fun. Even after the Hunting Ban they still litter our countryside and woods. They are below ground structures that usually consist of at least two tunnels and a central chamber. The tunnels can be constructed of 9" diameter glazed pipes, concrete pipes, or building blocks. In some parts of the country, particularly Cumbria, the tunnels are commonly made of corrugated iron bent into an inverted V shape. The chamber can be built of bricks, building blocks, logs or similar. They will usually be sited so as to be dry. The roof of the chamber is usually two or more paving slabs, or steel plate or corrugated iron. This roof is then covered with soil, branches or turf for concealment. There will usually be something to hand to facilitate quick blocking of the tunnel entrances. This might be a building block, a large log or a steel grid. Near to the artificial earth it was not unusual to find a water bowl or a feeding site. At the latter hunt supporters would put our dead chickens, lambs, meat or offal to feed "their" foxes. Artificial earths are NOT relics of the past. Some have been built very recently indeed. Other are renovated and repaired by hunt supporters and this has continued even after the Hunting Ban took effect in 2005..
Of course hunt supporters could build artificial earths and make them as warm and cosy as possible. They could put out food and water for foxes but what if, for all these efforts, no foxes took up residence? Then the hunters would have had nothing for their hounds to chase and kill. No ride, no gallop, no return on their investment of a great deal of money and many hours work. 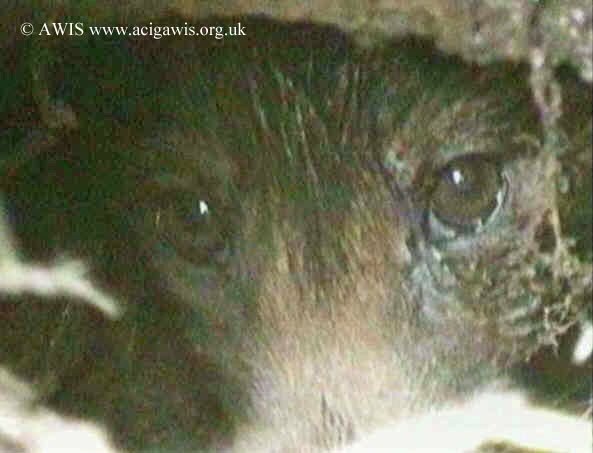 To overcome this problem some hunt supporters took the final step of putting fox cubs into the artificial earths themselves. They blocked them in, fed and nurtured them with the intention of releasing them for hunting at a suitable time. Some hunt supporters, under the mistaken impression that their pastime is "sporting" were shocked to find out about such goings on and tipped us off. 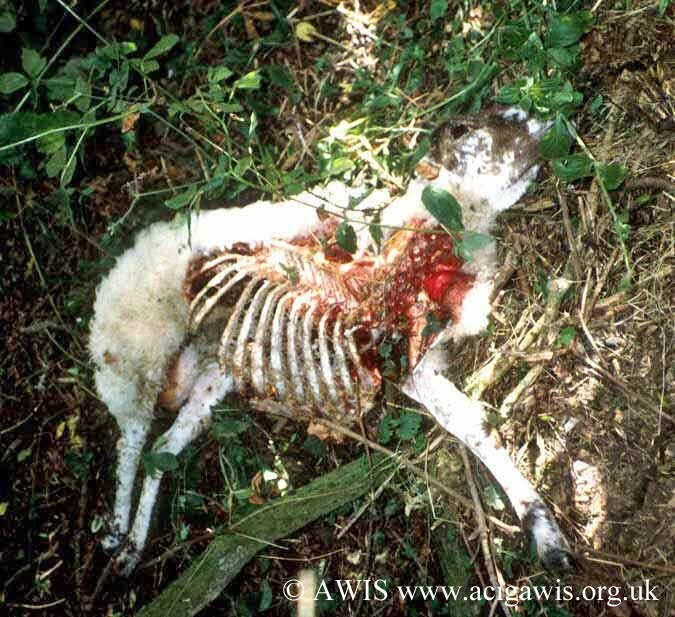 One such case occurred at the Sinnington Foxhounds in Yorkshire in 1998. 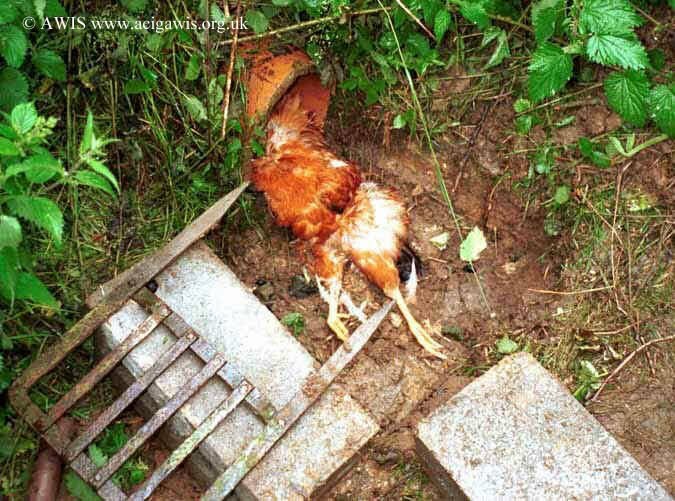 A dead chicken had been pushed up the pipe as food for the cubs and held in place by a steel grid secured by building blocks. There were two cubs in this artificial earth. 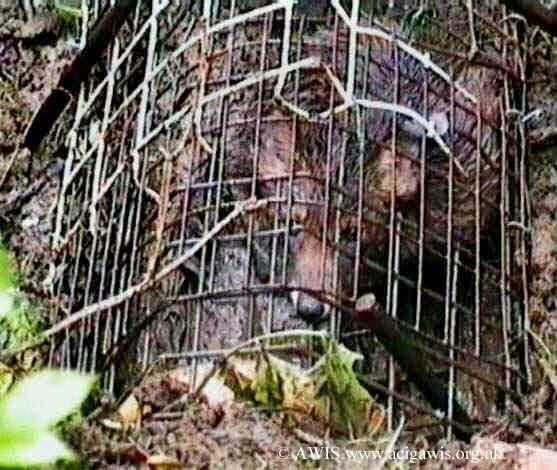 They were forced by hunt supporters to live in stinking filthy conditions. They were in a pitiful state. As soon as their poor condition was observed we contacted the RSPCA and the cubs were rescued. They were provided with much needed veterinary care, were rehabilitated and later released into the wild in an area where there is no hunting. The wood containing this artificial earth was owned by the Sinnington Hunt. It is but a short distance from the hunt kennels. The hunt denied all knowledge of the incident. Found in a wood that is a favourite hunting area for the Quorn Foxhounds. 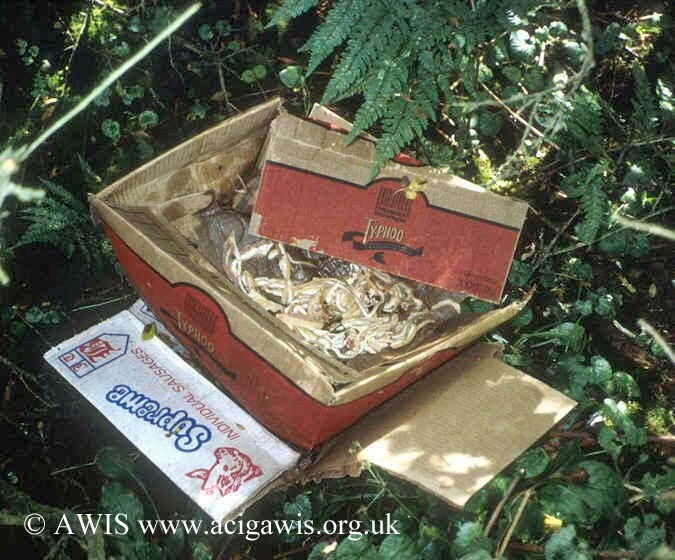 The dumping of animals in woods, or anywhere else, as food for foxes in this fashion was a breach of the Animal By-Products Order. This was an Order that was brought in to try and prevent the spread of disease in our Countryside.